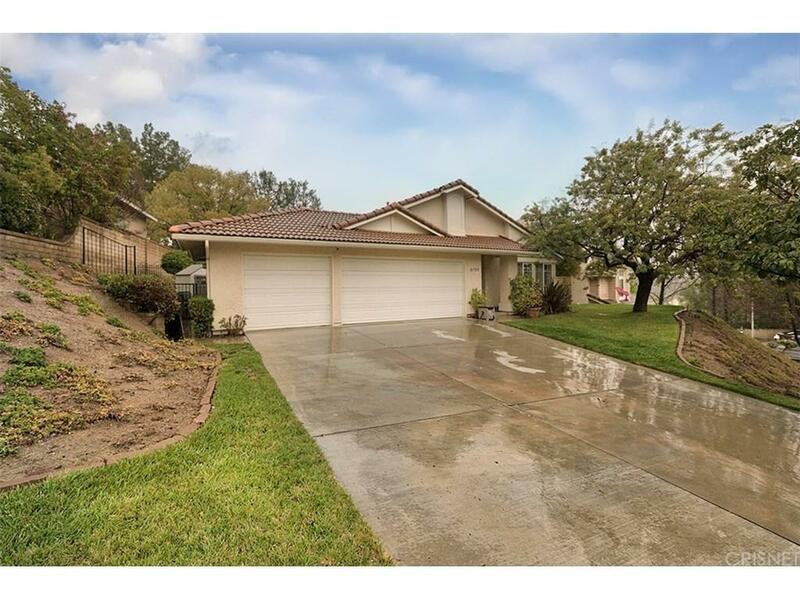 Incredible 3+2 single story in Saugus. 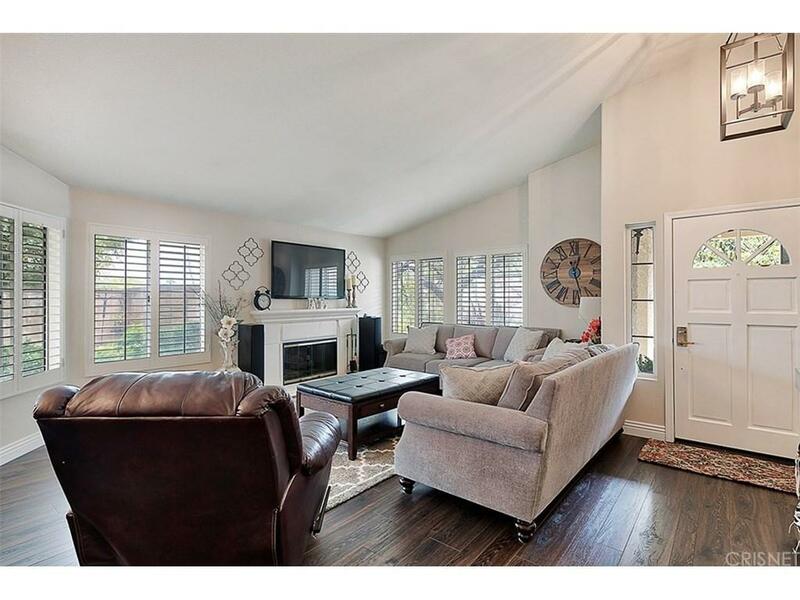 Move in ready, open floor plan welcomes you into the living room with a fireplace and formal dining area. 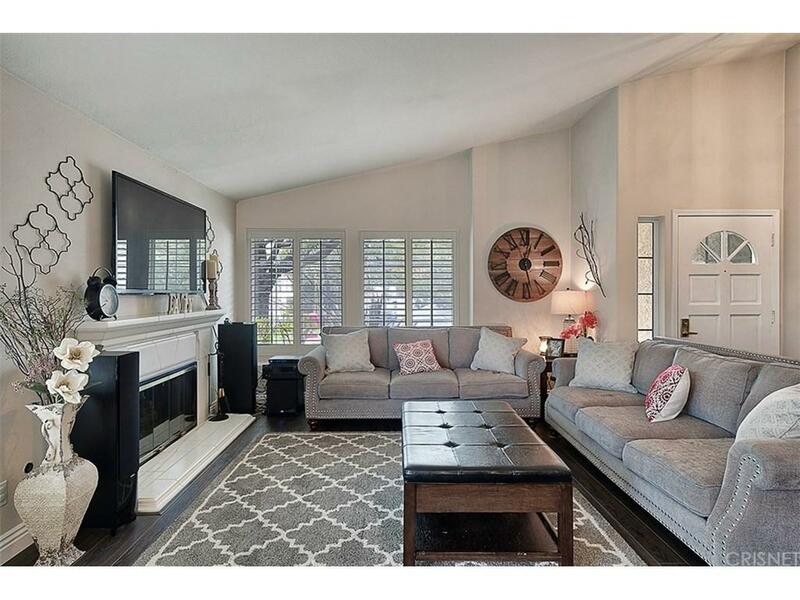 Updated flooring throughout, plantation shutters and newer updated light fixtures are just a few sought-after features of this turn-key home. Beautifully updated kitchen features stainless steel appliances, recessed lighting, quartz countertops, custom cabinetry and a counter to ceiling brick backsplash. This home offers 3 bedrooms and 2 full bathrooms with a spacious master suite featuring a walk-in closet and direct access to the backyard. The master bathroom features Jack and Jill quartz counter tops, a bathtub and a full-size shower complimented by beautiful granite and travertine throughout. Outside is the private backyard with mature trees and plenty of space for entertaining or playing with the kids. Direct access to the 3 car garage with plenty of storage and cabinets. 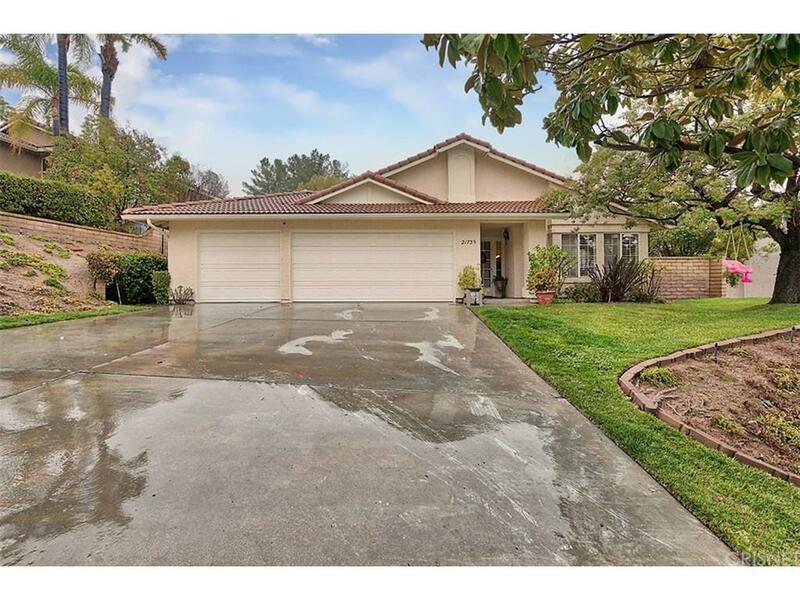 Sold by Judy Jensen BRE#01892468 of Realty Executives Scv. Listing provided courtesy of Garrett Eberle DRE#01892468 of Re/Max Of Valencia.